It appears this one died early on also but I will pull the sender unit at the dynaflow and see if there are teeth... I suppose the same applies in some form at the speedometer unit end itself, as the 'turning teeth or similar' there may have issue given the cable has been trying to move the stuck unit. Apparently its almost impossible to break the rubber/court gaskets. I just replaced the fuel sender unit gasket as it was leaking. Apparently the rubber gaskets are prone to breaking and then leaking and you need the rubber inpregnated cork gaskets. My 56 has the 'Tanks Inc' gas tank. I bought a rubber/cork gasket to suit a tri-five chev which fitted great. I also replaced the round rubber washers on the screws with flat copper washers. Agreed re turning the shaft to see if the points are opening and closing. If there is no opening and closing as the shaft turns then there will be no spark. The next step after will be to check how it is wired up. 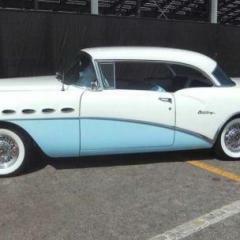 I didnt put it in but my 56 Century has the Tanks Inc 41-54 Buick B1 series. 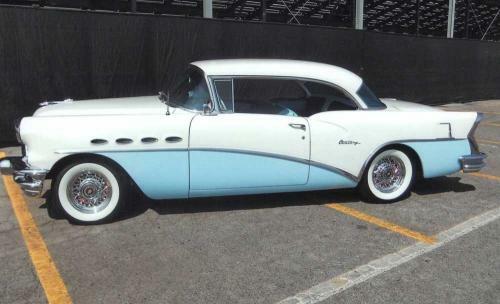 It is listed there under 'Buick' tanks and also in the 'universal' sections. But as suggested, check the measurements between what was there and what you are replacing it with. Good luck. It looks to me as though the 3 blades are deeper in cross section and would likely move more water than the 5 bladed unitiui where the blades are shallower - unless its the angle of the units being different in the photo!?! There are also the wrecker yards dealing in classic cars. And there are also adds for parting out cars on ebay. Not sure where else the car is advertised but you should try sites such as Hemmings, etc. that will reach a wide audience. Just my opinion. Hope snatches it up.